Gary Gray, Vice President and Chief Technology Officer, was most recently President of Digital Angel Software and Systems, a software and hardware company that designed and built GPS-based tracking systems for parole/probation offenders being supervised in the community. Previously, he was President of ThermoLife Energy, overseeing the building of the Company’s Riverside, CA thin-film research lab which was established to continue ground-breaking renewable energy research begun in Germany by the Company’s principal scientists. Gary was previously with Applied Digital (Nasdaq: ADSX), where he was corporate Chief Technology Officer and headed three of the Company’s technology divisions. Applied Digital had a peak market cap of $2.8 billion, with over 2,000 employees. Gary was National Sales Manager for Point Control Corporation, whose 3-D SmartCAM Computer-Aided Manufacturing software has been installed at 12,000 locations in 67 countries. SmartCAM was acquired by Structural Dynamics Research Corporation, a division of EDS/GM. 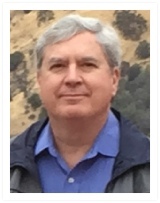 Previously, Gary was Principal Developer of the first complete manufacturing resource planning system available for the new 32-bit mini-computers from Digital Equipment Corp. emerging in the early 1980’s. The software package was the principal intellectual property asset of Manufacturing Resources, Inc. (MRI), Woburn, MA. MRI was venture-funded and was subsequently sold to Pacific Telesis.